Live long and prosper: healthy mitochondria, healthy motor neurons? 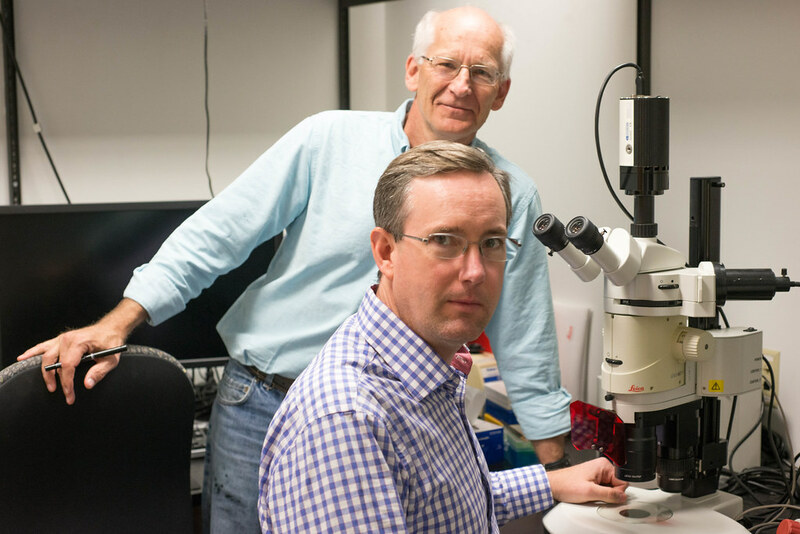 Chris Lorson, a professor of veterinary pathobiology, and Mark Hannink, a professor of biochemistry, want to find a new way to help motor neurons live a long and healthy life. Their question: what’s the relationship between motor neuron sruvival and a cellular component called mitochondria? The two researchers at the Bond Life Sciences Center were awarded preliminary funding from the Bond LSC to pursue this question. Their findings could lead to new targets for therapies to treat a type of muscular dystrophy called spinal muscular atrophy, or SMA. Spinal muscular atrophy, a genetic disease characterized by the death of motor neurons in the spinal cord, is caused by a mutation in the Survival Motor Neuron 1, or SMN1, gene. Patients with SMA develop muscle weakness and deterioration that spread inwards from the hands and feet, which progresses to interfere with mobility and breathing. The severity of symptoms and time of onset depend on how well a related gene is able to compensate for the lack of SMN1. As a result, treatment strategies usually focus on improving the activation of SMN1’s back-up gene. Hannink and Lorson, however, are interested in a different pathway that is related to mitochondria dsyfunction. Mitochondria are like the cell’s battery packs. Produced in the cell body, mitochondria migrate to the other end of the motor neuron to provide the energy to send electrochemical signals to recipient muscles and nerves. When mitochondria break down, the cell packs them into vacuoles that return to the cell body for recycling or removal. To test their hypothesis, Hannink and Lorson plan to make motor neurons from pluripotent stem cells taken from people with and without SMA, and compare mitochondrial function and cell survival between the two groups. Then, they will test if a number of different genes that are known to be important for mitochondrial function will affect motor neuron health in both SMA and non-SMA derived cells. Most approaches aim to boost the performance of the SMN or its back-up gene, but there are also options like neuroprotectants and skeletal muscle activators. Molecules that maintain healthy mitochondrial function could be another possibility. 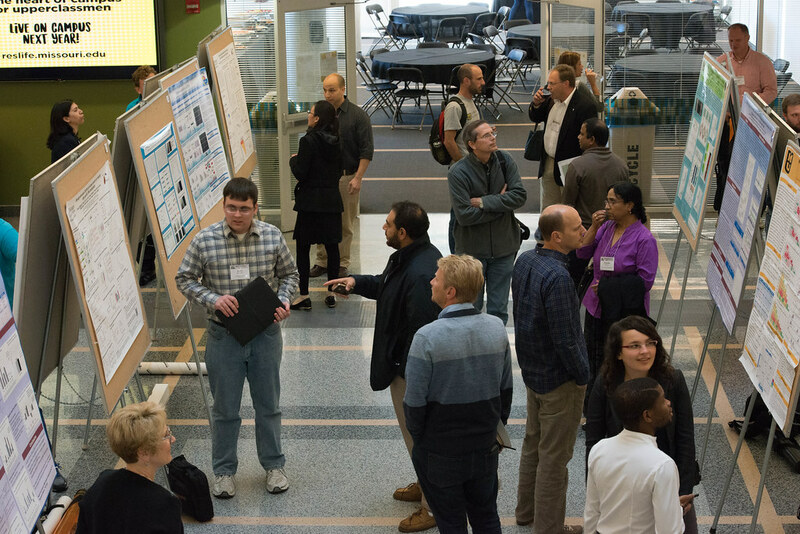 Five faculty speakers from five different universities, along with two trainees selected based on the merits of their poster abstracts, presented on current topics in epigenetics. The daylong symposium, titled Mizzou Epigenetics, took place on Wednesday, Nov. 9 at the Bond Life Sciences Center. 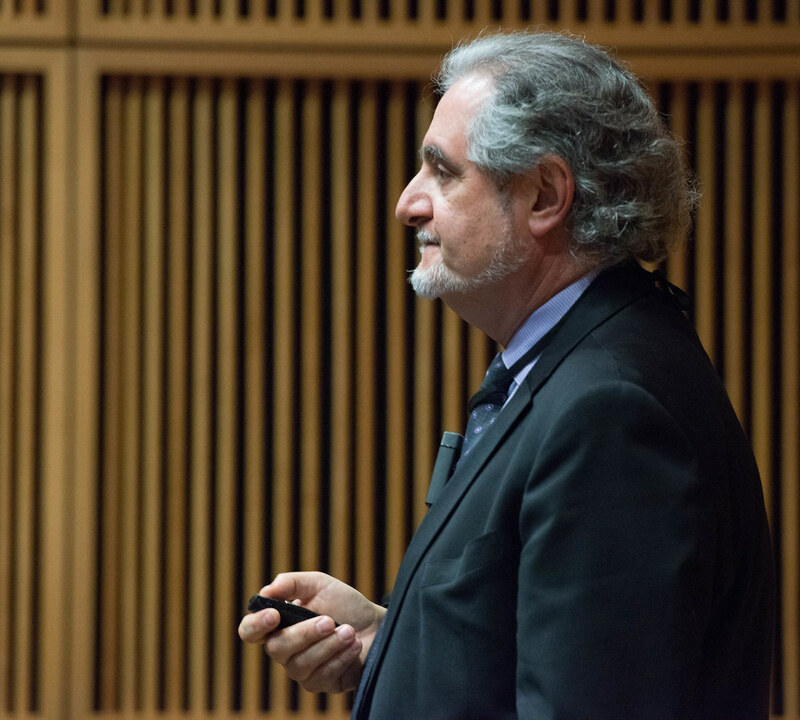 Dr. Jean-Pierre Issa of Temple University, the keynote speaker, said he was a stickler for the definition of classical epigenetics: stable, long-term changes in gene expression. Textbook examples of epigenetics include X-inactivation, an irreversible process that happens at the beginning of gestation, and imprinting, where certain genes are not expressed based on their parental origins. DNA methylation is one mechanism that cells use to control whether genes are activated. The presence of methyl tags—single carbons bonded to three hydrogen atoms—act like “off” switches when attached to a region of the gene called the promoter. Enzymes that add or remove tags are normally busiest during the embryonic development. Cancer is the exception to the rule. According to Issa, cancer presents a “chaotic picture” where methyl tags get added to regions where they don’t belong, and removed from regions where they ought to be, resulting in epigenetic shift. He also drew connections between epigenetic shift and other conditions related to aging. For example, specimens with chronic inflammation, infection or the introduction of a new microbiome to a germ-free body tended to show a higher than average amount of epigenetic shift as their cells age. Meanwhile, mice and monkeys who were exposed to calorie restriction tended to have lower amounts of epigenetic shift over time. The event was sponsored by Mizzou Advantage, the School of Medicine, the College of Agriculture, Food & Natural Resources, the Bond Life Sciences Center and the Chancellor’s Distinguished Visitors Program. They may not get much respect, but tears and spit are the products of a delicate secretive system that people would pay their respects to in mourning if they discovered that system was dying. Gary Weisman and Dr. Carisa Petris are working together to help heal the damage caused by such a chronic lack of tears and saliva. 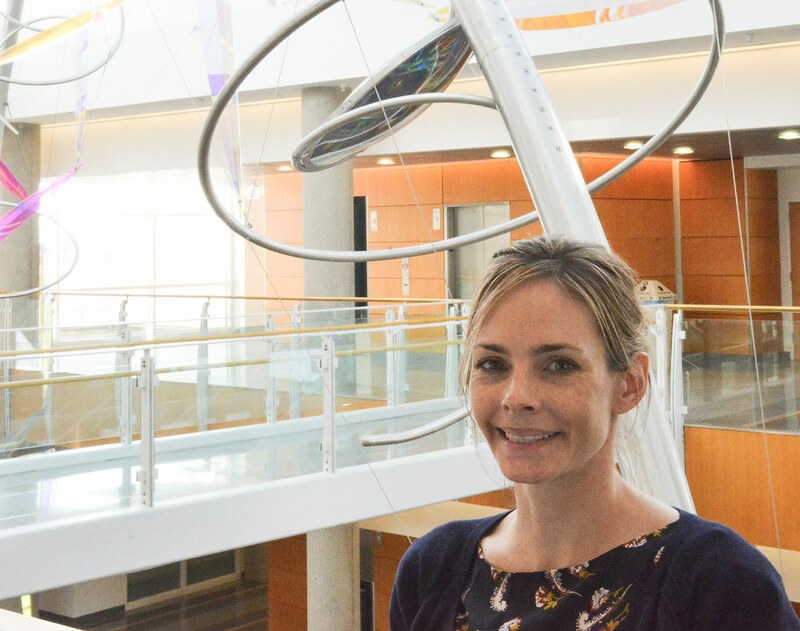 The pair recently received a $100,000 Bond Life Sciences Center Grant for Innovative Collaborative Research to allow Bond LSC’s Weisman to partner with Petris, an eye surgeon working at MU Hospital. They want to study the mechanism by which the auto-immune disease Sjögren’s syndrome cripples the glands of the eyes in mice. By comparing that mechanism to how it works in human eyes, they hope to examine if effective treatments for the mice could in turn help people. “Dr. Weisman has characterized [Sjögren’s syndrome] in the salivary glands, and then there are similar glands in the eye called the lacrimal glands, and those are the tissues that we’re going to study,” she said of their collaboration. Sjögren’s attacks the glands in our bodies that produce tears and saliva. Without tears and saliva, people suffer chronic dry mouth and eyes and are more susceptible to infections. Sjögren’s itself can also spread to other parts of the body, including the lungs, kidneys and digestive organs. An estimated four million people in the United States live with the disease, according to the Sjögren’s Syndrome Foundation. Much of the grant money will go toward the costs of obtaining and housing new knockout mice for the study. These mice have a disabled, or knocked out, gene that causes them to express a certain trait like the dry eyes and development of Sjögren’s in this case. “It takes a few weeks to a couple months for the disease to fully manifest itself, so we’ll house those mice for that time, and then of course, we’ll be treating them with the drug, and not with the drug, some for harvesting just the lacrimal glands and [studying] the surface of the eye,” Petris said. Even though Sjögren’s syndrome and inflammation research are big topics, there’s just no good solution to the problems yet. “There are a few [eye] drops that are used for Sjögren’s now, and they’re at best helpful, but they don’t cure the disease, so that would be the ultimate goal. They help decrease the inflammation that goes along with it and increase the tear production. The drops are also limited in their longevity too — you can only use them a certain length of time before they tend to not work so well anymore,” Petris said. Petris referred to one drug that shows promise. The drug or another like it would interrupt the autoimmune response that causes the damaging inflammation that leads to Sjögren’s. It has already shown good results for reducing the symptom of dry mouth in mice, so Petris said she and Weisman will add it to some of the eyes of their mice and see if has any similar effect it reducing dryness there. Gary Weisman was recently recognized for his career studying auto-immune responses with an award at an international conference in Seoul, Republic of Korea. Read more about Sjögren’s syndrome and Weisman’s work here. This seed funding is one of seven awarded this year at the Bond Life Sciences Center. These awards, which range from $40,000 to $100,000 in funding, foster inter-laboratory collaboration and make possible the development of pilot projects. Read more about another Bond LSC seed funding grant-supported collaborative project here. The character of Charlie Bucket found his golden ticket to a happy life wrapped in a Willy Wonka chocolate bar. 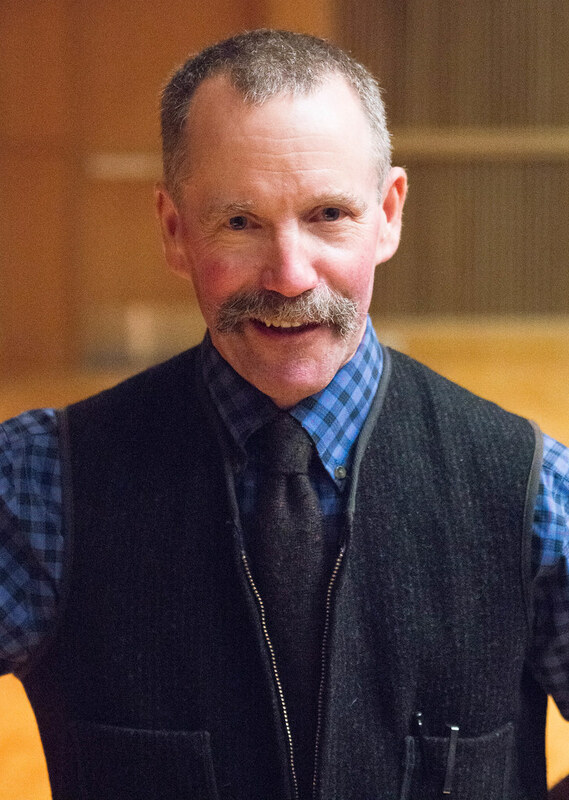 Peter Ostrum, who at the time was just a child actor playing Charlie, later found his in horse pastures. After playing Charlie in 1971’s “Willy Wonka and the Chocolate Factory” alongside the late Gene Wilder starring in the titular role, Ostrum didn’t pursue acting any further. He spoke about life as a veterinarian Nov. 3 at Monsanto Auditorium in Bond Life Sciences Center. “People are always curious about what happened to Charlie. Why wasn’t he in any other films? Did he survive Hollywood? I’m relieved to tell you that my life didn’t end up as a trainwreck,” Ostrum said, getting some laughs from the crowd gathered to listen to him speak. “The film industry just wasn’t for me,” he explained, although he did enjoy working alongside Wilder and co-star Jack Albertson, who played Grandpa Joe. Ostrum said that every day on lunch break during filming in Munich, Germany, Wilder would share a chocolate bar with him. Back at home in Ohio, Ostrum worked at a stable, and had several positive interactions with veterinarians. He admired the profession, and working with horses specifically. He even went on to be a groomer for the Japanese three-day equestrian event team at the 1976 Summer Olympics in Montreal. He wanted to become an equine veterinarian after a year working at an equine veterinary clinic. However, Ostrum discovered that dairy cow care fell more in line with his dreams, and after getting his veterinary degree at Cornell, he’s been doing that ever since — in upstate New York where he is also a husband and father of two children. Ostrum described how agriculture and veterinary medicine have changed over recent years, with changing numbers and sizes of farms, the rising power of animal welfare groups and an increased desire from consumers to know where their food comes from. People want to know whether animals are treated humanely and whether farms are negatively affecting the environment, he said. All of these changes and others require increased transparency, education and community outreach efforts by everyone working in agriculture, Ostrum said. In candidates for veterinary associates, he said that he looks for “the intangible skills at the heart of who people are” — their character and their ability to connect with clients and patients. Ostrum also mentioned the importance of mental health awareness among veterinarians and other health professionals. “We can’t help others if we can’t help and support ourselves,” he said. Ostrum was invited to speak at Bond LSC in celebration of World One Health Day — an effort to spur collaboration between experts in human, animal and environmental health. Attendees at the lecture could purchase chocolate bars for three dollars, and five bars out of 200 available contained golden tickets that entitled winners to prize baskets. Proceeds went to MU’s Veterinary Health Center’s Barkley House project — a guest house for families of pets receiving treatment.